This week, I’m on a mission to deplete my remaining supply of FreeStyle Lite test strips. My calculations tell me that they should be depleted by early Thursday. The one piece of motivation that’s getting me through these final days is the mental promise of a new FreeStyle Libre sensor at the end of it. 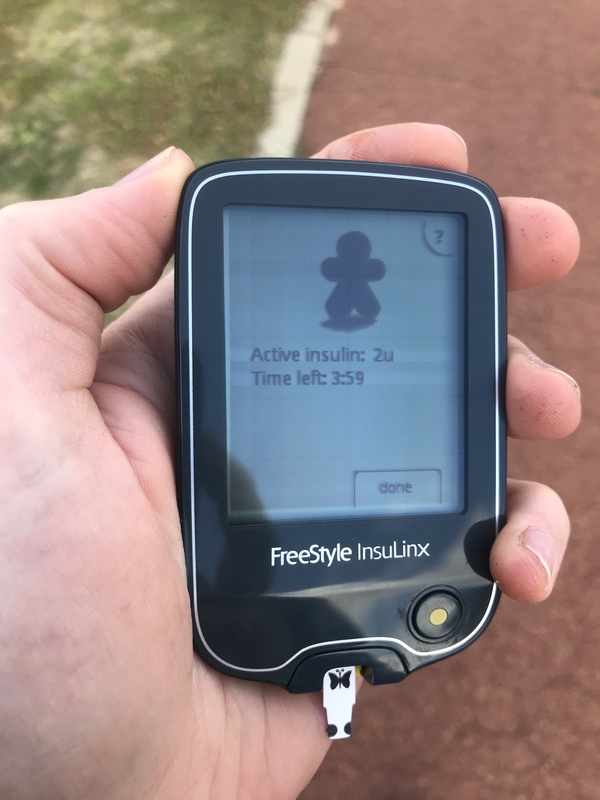 As part of this final hurrah, I thought I’d take the opportunity to celebrate the ‘life’ of my FreeStyle Insulinx meter over the past two and a half years. 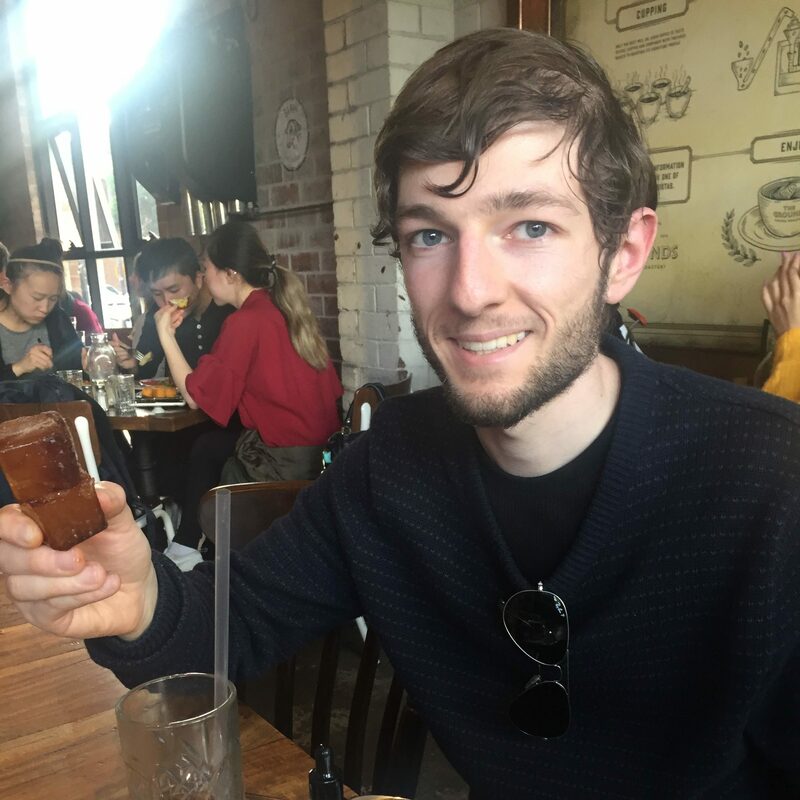 I was first given an Insulinx back in 2015 after I had reconnected with my diabetes educator to discuss insulin pumping. This was a meter with a built in bolus calculator that would help me to become familiar with counting carbohydrates, which is what I’d eventually have to do on an insulin pump. I had been using the same blood glucose meter since the day I was diagnosed. I didn’t know too much about diabetes back then, or some of the more ‘modern’ options that were on the market. Or the fact that ‘free’ meters were so easy to come across, because companies actually make money from the test strips! The Insulinx was my first ‘modern’ glucose meter. I loved the test strips that were conveniently stored in capped vials, rather than being wrapped in foil. The USB cable, which meant that I was able to upload the data to my computer for review. There was a backlight for testing in the dark. It also used a much smaller sample of blood, and gave you an additional 60 seconds to apply more blood. No more annoying strip fill errors! As much as I welcomed these modern features, I didn’t really make much use of the bolus calculator function. Mostly because I wasn’t motivated to count carbs and log insulin doses at the time. 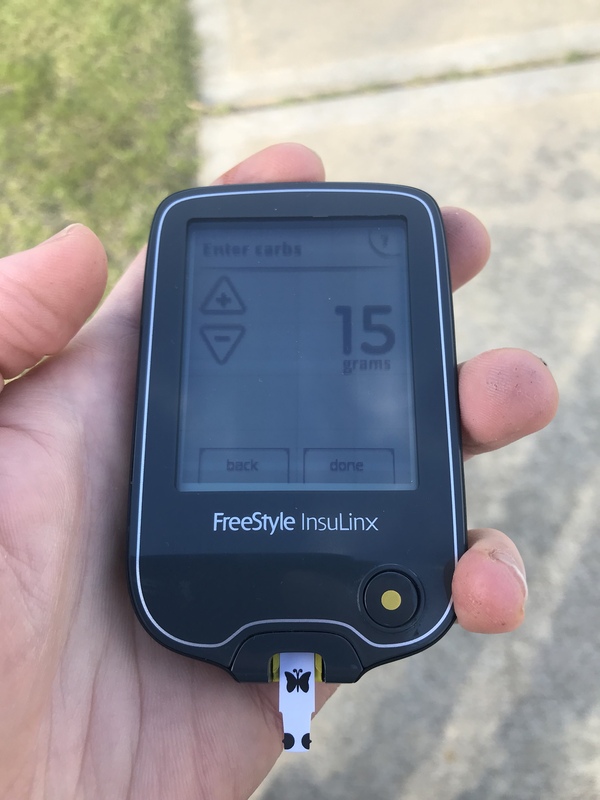 Fast forward to today where I’ve tried many more meters and am generally more switched on to what my blood glucose levels are doing, the FreeStyle Insulinx simply does not meet my needs anymore. The ‘Lite’ test strips may require a smaller sample of blood (0.3uL), however I feel that it’s easier for any sweat or moisture on my fingers to affect the blood glucose reading. I’ve been trying to combat this by extracting a larger drop of blood from my finger and making more of an effort to wash my hands prior to testing. I also don’t like not being able to physically ‘see’ the blood going onto the strip like other meters do. The bolus calculator on the Insulinx isn’t as comprehensive as the one you might find on a pump or smartphone apps such as RapidCalc. Little things like being able to adjust carb ratios while I’m on my feet at work are a big deal for me. During pump breaks and even while using the YpsoPump, I haven’t even considered the bolus calculator that’s contained inside my Insulinx. All of these gripes aside, I simply haven’t found the results to be as consistent or as trustworthy as my AccuChek Guide. Just last week I had something like a 12.7, a 10.1 and then an 11.6 in a row with clean fingers. Alternatively my AccuChek Guide has chalked up impressive consistency, even when throwing some grubby work fingers into the mix! Due to its bolus calculating capabilities, the FreeStyle Insulinx is only available from a healthcare professional. 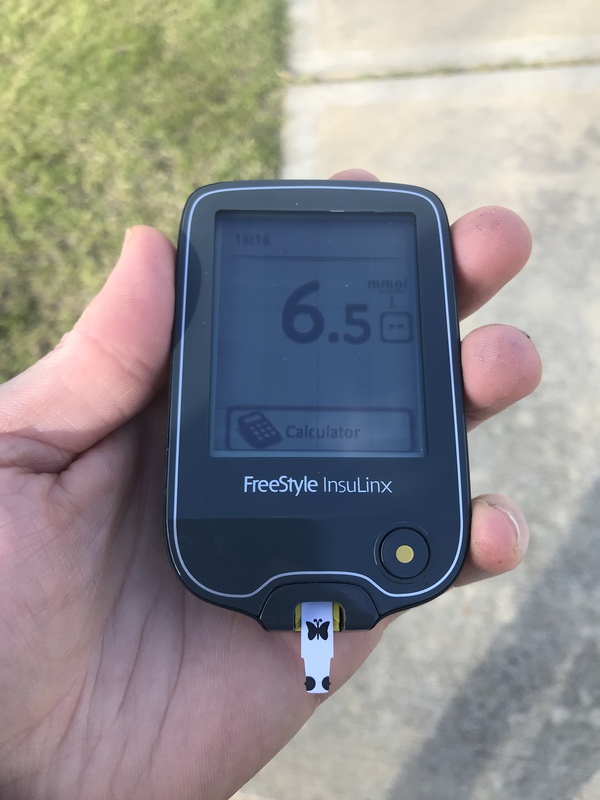 If you’re using a FreeStyle Libre, the same bolus calculator is also built into the reader. Just make sure to ask for the code to unlock the bolus calculator. I’m mindful that I’m a huge adopter of diabetes technology. Perhaps that’s why I’ve gravitated towards wireless systems such as Contour Next One or AccuChek Guide that will sync readings to my iPhone via Bluetooth for instant review. For people who do want something simple and may not have the latest whiz-bang smartphone, this could be the perfect option for you. Frank, I have been meaning to ask does your pump not have a bolus calculator? I think US pumps normally have bolus calculators. Yeah, most pumps here do have bolus calculators, Rick. The YpsoPump, which launched here in May is the only one I can recall that does not.